Hi. I've just bought a 2019 Tiger Sport and it's been a long time since I've had a chain to maintain. Thinking if sticking on a Scottoiler. Just the basic gravity vSystem. Scottoiler have instructions for fitting but not found anyone in this site who has fitted one. Can anyone direct me to a page as I'm sure someone must have. The V system is vacuum driven and this is not recommended as it interferes with the bike's sensors. Most fit an electronic oiler. PDOiler is great value and what I use. A few have them, including me. 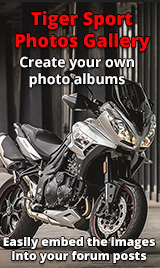 You should know that Triumph recommend only the electronic version for the Sport, for some reason. It upsets the RBW system I'm told (though no-one has ever explained whey, so I take this with a pinch of salt). Fact is Triumph have never recommended the Vsystem since the Sport came out - my theory is it's because the rear disk is so close to the chain - possible liability issues. Yet I have the Vsystem on mine, which is OK but takes a bit of setting up to get right. I built a special mount for mine under the tool tray, which tucks it out the way a bit better and is more vertical (pics in my photo section). 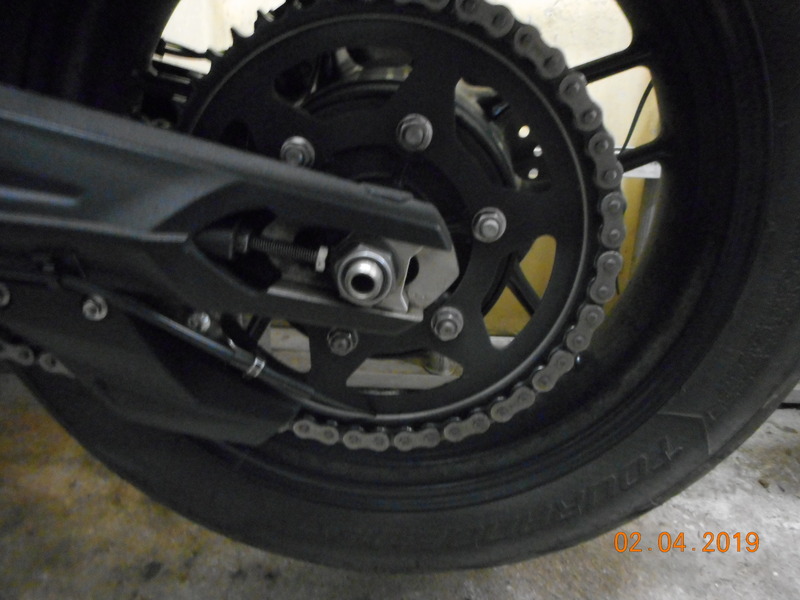 And a long applicator which touches on the inside of the rear sprocket about 8 o'clock. But it does take a while to get the adjustment right, especially from winter to summer as the temperature changes. Note. I had Beemers for years, so view the Scottoiler as essential for long-distance rides …. Thanks for the fast response. Triumph did say the Vsystem wasn't recommended but didn't say why however Scottoiler says it's not an issue and have full fitting instructions. It's been a long time since I've had a chained bike and i bought a can of lube the other day for its 1st spray. I did make a huge mess. I think there is more lube on the tyre and rim than on the chain. Plus my hand leg foot and the cat. Hence looking at a scottoiler. There is a cheap oiler that uses gravity, the name i forget but i know they're made in the UK. They are on Ebay or you can buy direct from their website. Loads have fitted them on the Yamaha XJR forum. I've used Scottoilers for 25 years, currently on 3 bikes. My TS being a '14 is pre-fbw so that has the Vsystem vacuum type. Same for my old traillie. My T800 being fbw has the esystem, bit pricey but works brilliantly & easy to tweak. If T say not recommended, think warranty. 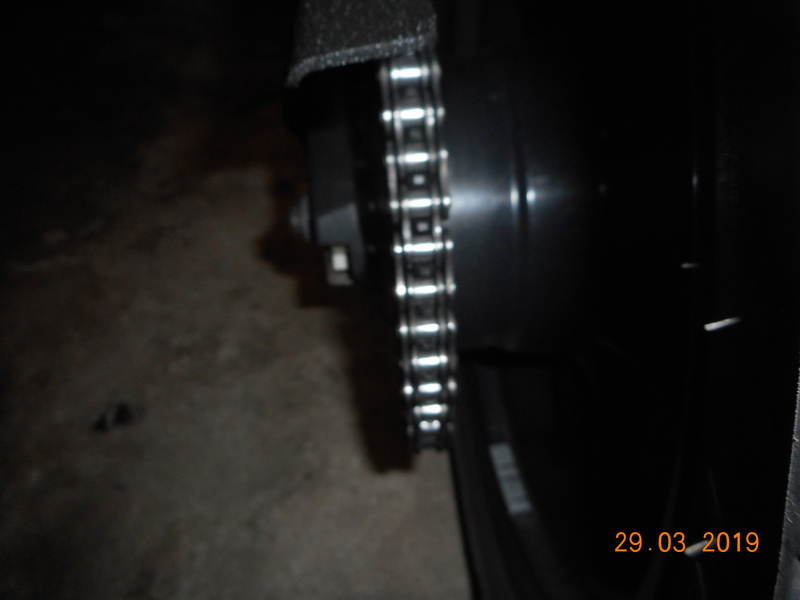 I wouldn't have a twin feed, I fit the single feed to the outside of the sprocket at near enough to bottom centre, 25 past the hour if poss. We had a wasps nest in our porch canopy some years ago, I got the council man to come out to it at great expense. Next year they came back, I lifted a tile & gave it a good squirting of chain lube. Never seen them since. I use squirty chain lube for all the brake, gear lever & footrest swivels. I'm off work today so I'm going down to the dealer to see what issues they have with the vSystem.